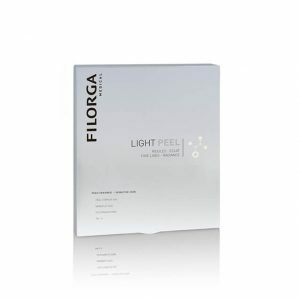 Filorga Time Peel for normal skin is a chemical peel for medical use only that reduces signs of aging like wrinkles. 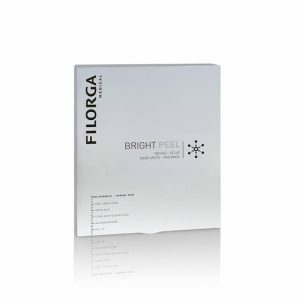 Use Filorga Time Peel to reduce the look of wrinkles on normal skin while increasing the skin’s firmness and radiance. 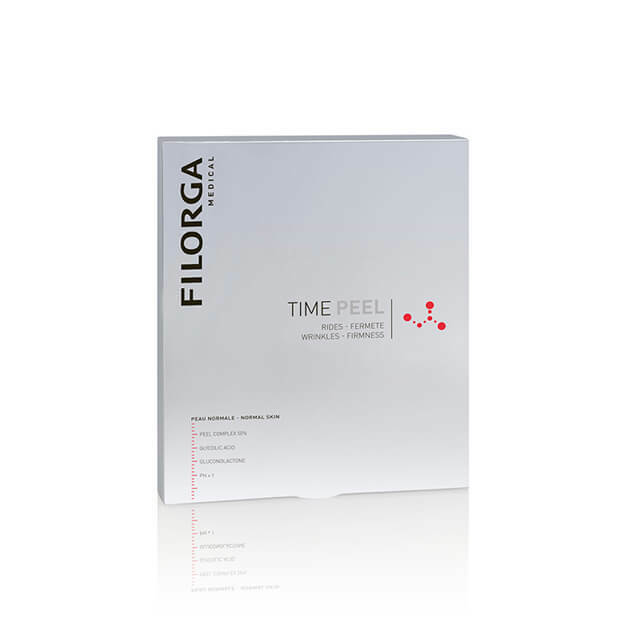 With the ingredients Glycolic acid and Gluconolactone, Filorga Time Peel targets signs of aging like wrinkles to give the skin a firmer, more youthful appearance. If you have a dull complexion, then Filorga Time Peel can work miraculously to make your appearance look healthier with a natural glow. The peeling kit is ideal as an anti-ageing solution, for patients wanting to erase the first signs of ageing, without needles and injections. It is the most non-invasive method of eradicating wrinkles. Peeling Solution, Brush and Dosing Tube. 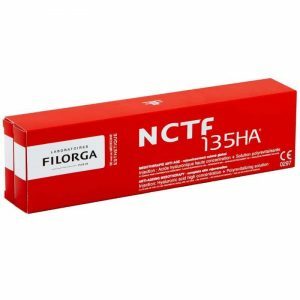 What are the Benefits of the Filorga Time Peel Kit? First, prepare your skin by applying Filorga ® Time Peel to the treated area with a cotton pad in order to balance pH of the skin. Second, you should pour 2 or 3 ml of peel into the dispenser tube. Then apply it with a brush over the area to be treated and leave on for 2 – 3 minutes. Then rinse with a pad or a wet towel. It is recommended to use the product every 2 week for 4 procedures.